Growing up we would have dinner at my grandparents’ house every week. The menu didn’t rotate much. Pot roast, mashed potatoes and gravy, iceberg salad with homemade buttermilk ranch dressing. Chicken casserole, the kind with sour cream and stuffing on top– the one where you keep getting seconds. Braum’s hamburgers and crinkle fries. There was always dessert. Everything else is a blur. 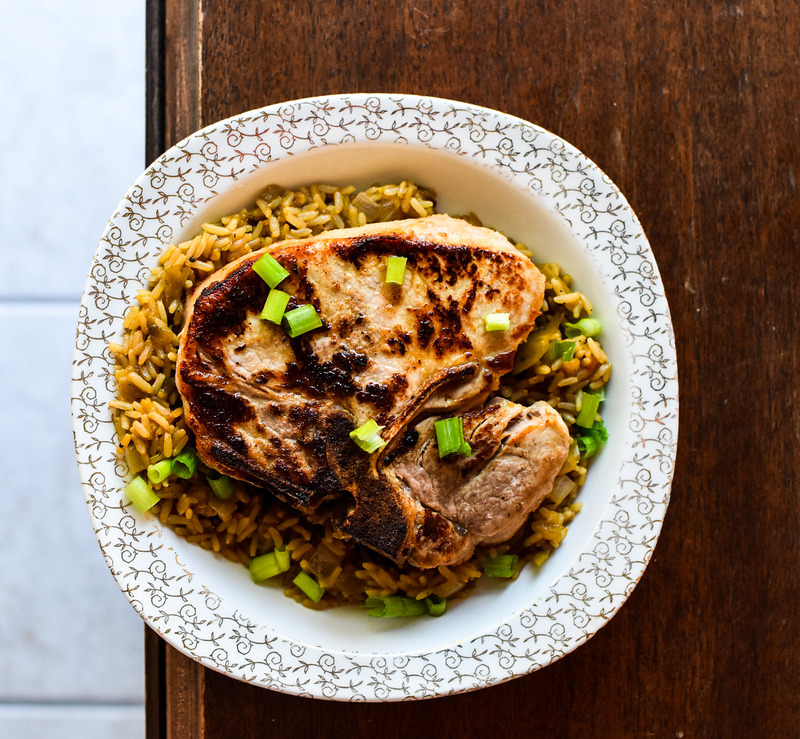 When my sister got married she started cooking pork chops and rice. She reminisced about it and how much it was a favorite. Granny? I didn’t recall eating this meal. However, both my sisters were making this dish with great nostalgia. Apparently we ate it during our weekly dinners. I just missed storing it in my food memory bank. 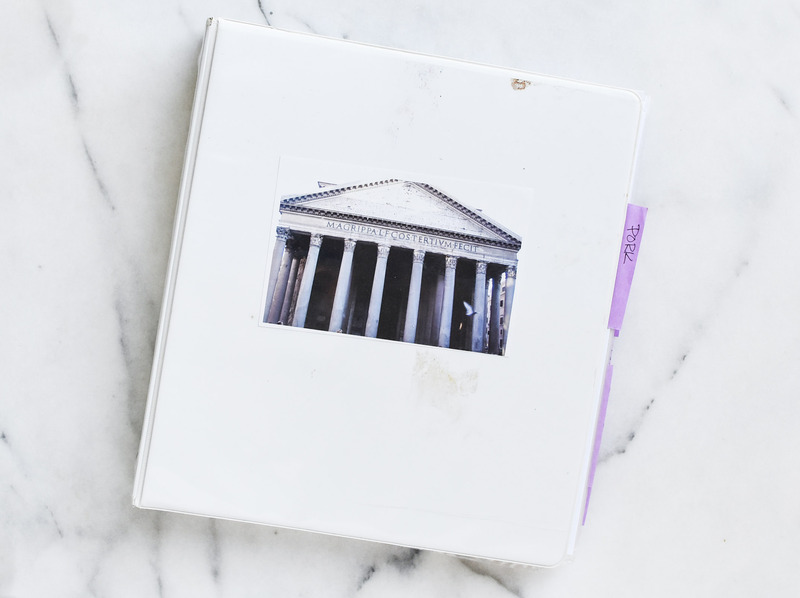 Upon receiving the recipe I place it in my Pantheon of recipes and made a mental note to cook it soon. Well I didn’t. The first time I remembered eating this meal was at my sister’s house. Pork chops cooked in bacon fat with rice and tomatoes. Finished with butter and a drizzle of bacon fat. It was delicious and comforting. Even after that experience I still never made it. At that point in my life I was on the path of pursuing involved, technical recipes; never cooking a recipe more than once. I incorrectly judged it as too simple. 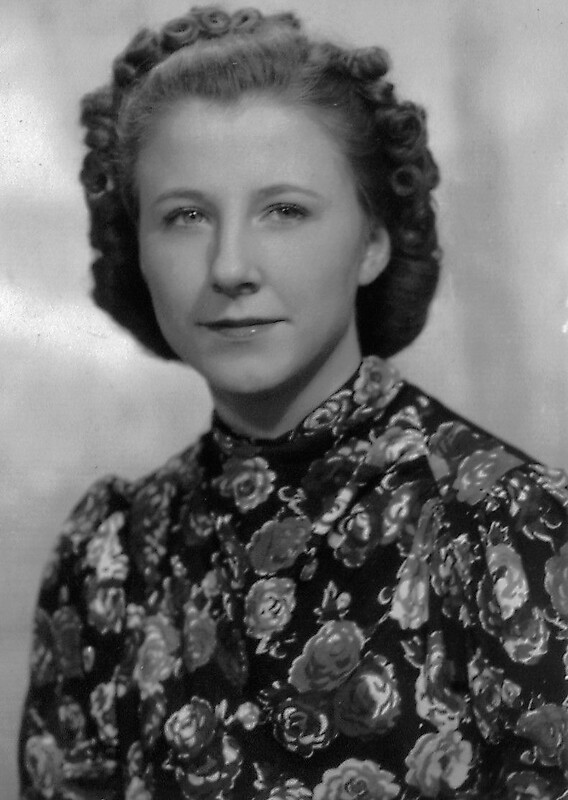 I knew my grandmother through several stages of my life– childhood, young adult, newly married and mother. She was a confidant. She was my friend. She knew, loved and rocked both my babies. This past winter the ache of her not being a phone call away was great. I began to search for her pork chops and rice recipe. It was no where to be found. I called my sister and retrieved the recipe. 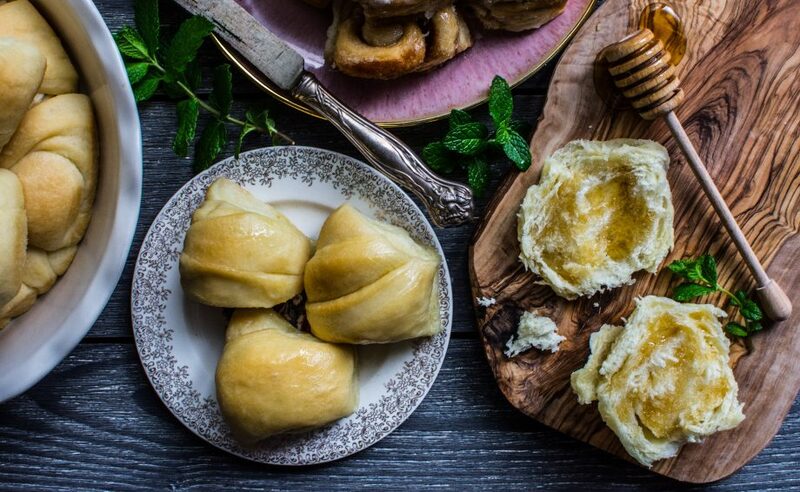 I made it precisely by the recipe; few ingredients and steps– delicious results. Per usual though, I wanted to put my own spin on it. I instantly had a great vision for this meal. Bone-in pork chops marinated in buttermilk, seared in bacon fat and then oven baked. 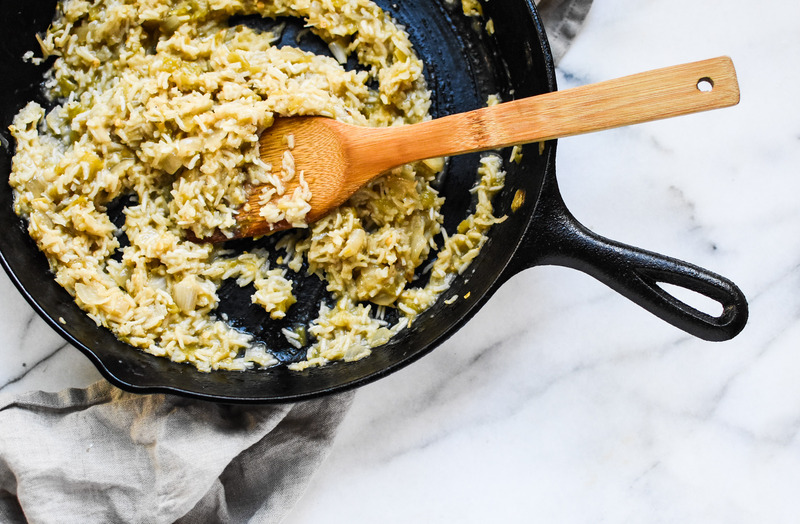 Rice, toasted in onion and Hatch chile infused pork fat and cooked with chicken stock. 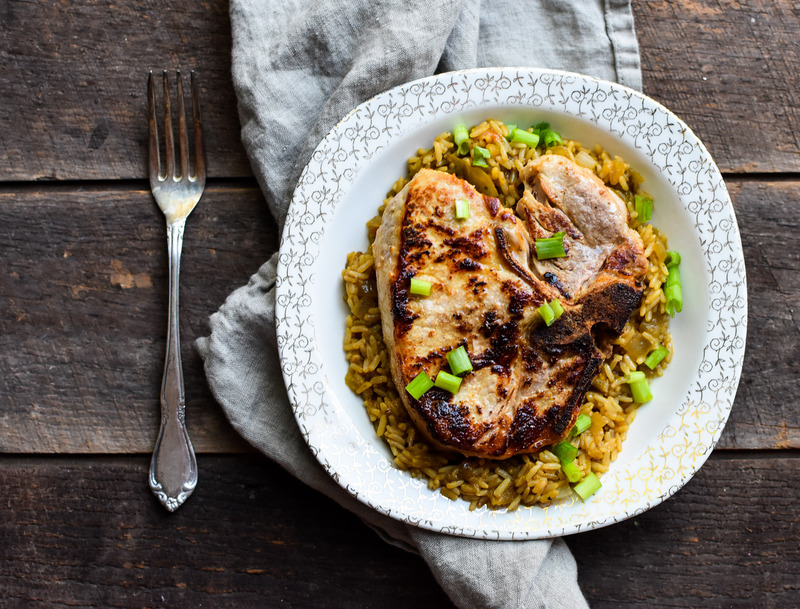 Finish the rice with a dollop of butter and then serve with the pork. 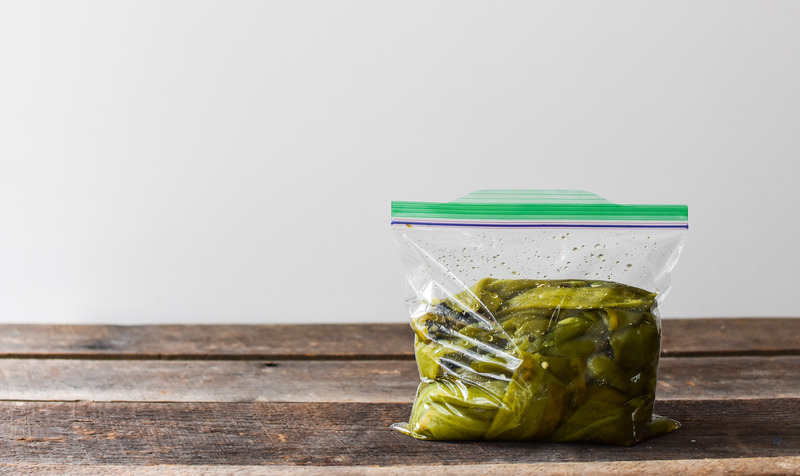 I chose to develop this recipe without using my prized frozen Hatch chiles. Canned Hatch chiles, while they don’t contain the same robust flavor, still work beautifully. 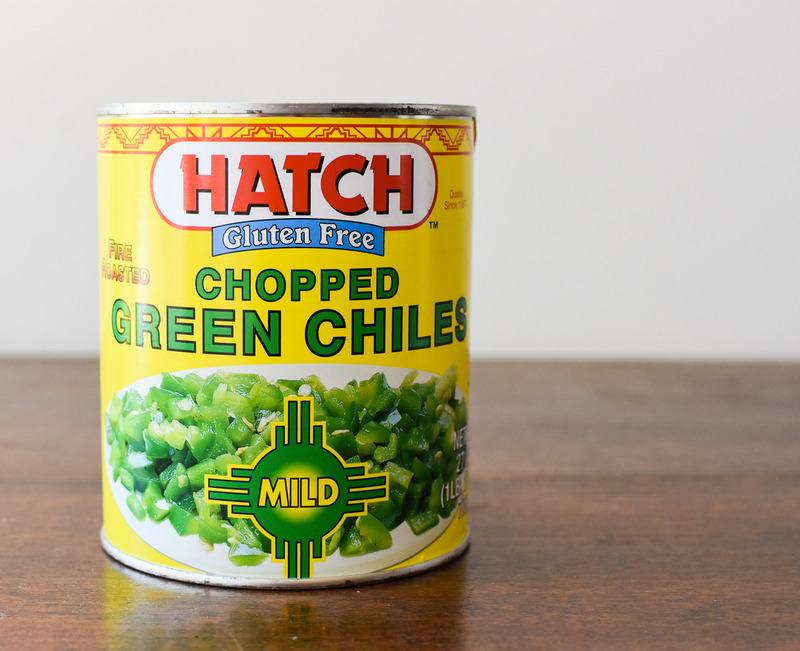 While walking down the aisles at Market Street my intention was to grab a handful 8 oz cans of Hatch green chiles (since they only come in 8 oz cans) before moving to the butcher to collect the pork chops. I stopped and stared. My heart skipped a beat and I might have made small squeak. Before my eyes were glorious 27 oz cans of chopped Hatch green chiles. I wanted to grab them all and take them home with me. No longer do I have to buy several small cans, I can just buy one. I’ve wished for this moment several times before. This large can was a game changer for me. Wonderful grocery store. Market Street knew my Hatch-loving needs and provided a great product I can get year round. I went home, made the pork chops with the canned hatch chiles and with the remaining ones, a salsa. With the final recipe test I brought out my last bundle of frozen chiles. It was July and I knew Hatch season was right around the corner. I also knew that Market Street was always one of the first stores to receive their supply of chiles, so my stock would soon be replenished. It was time to deplete the 2015 chile supply. I chose to do this with a passed down family recipe, tweaked with a Hatch twist. I could not have selected a better recipe. Author note: There will be leftover rice. 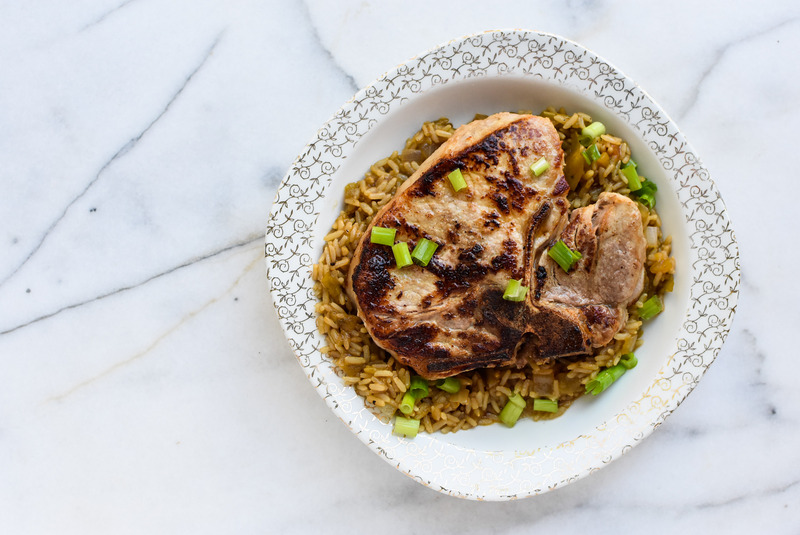 The recipe only calls for 4 pork chops, however, feel free to add as many chops as desired and salt as needed to season the pork. Also, a bone-in pork chop will result in a juicer cooked piece of meat. 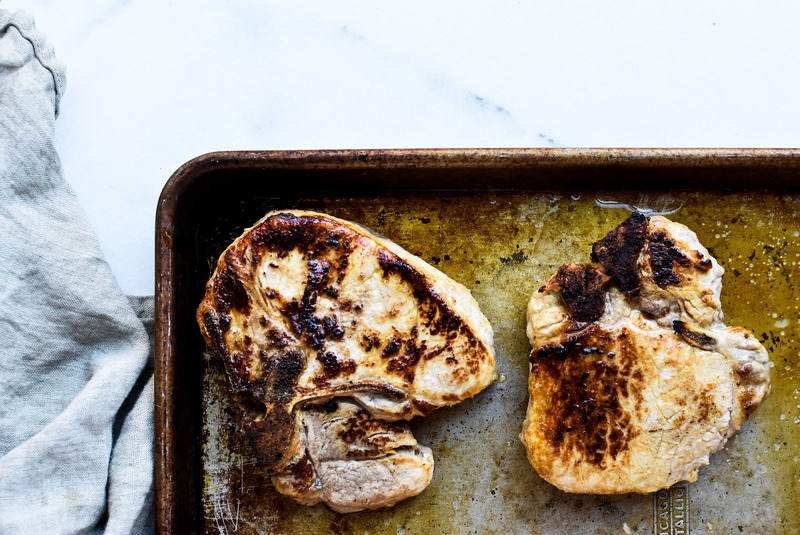 If you prefer boneless be sure to decrease the amount of time the pork chop stays in the oven. If you can’t get a hold of fresh Hatch green chiles (available around August), canned chiles work well. 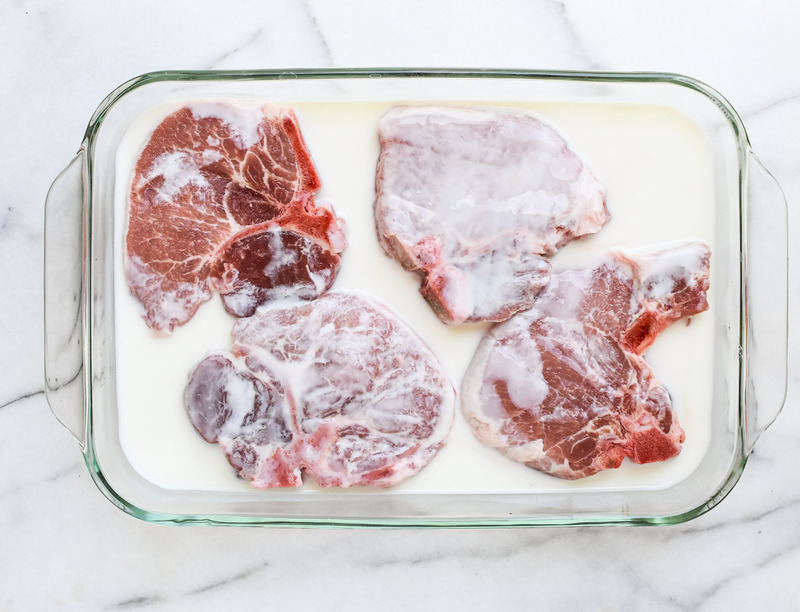 Place the pork in a rectangular baking dish add the buttermilk and cover. Place in the fridge and let marinate for at least 8 hours or overnight. Remove the pork from the buttermilk an hour before cooking. Pat dry and evenly salt the pork chops (front and back) with 1 teaspoon of salt. 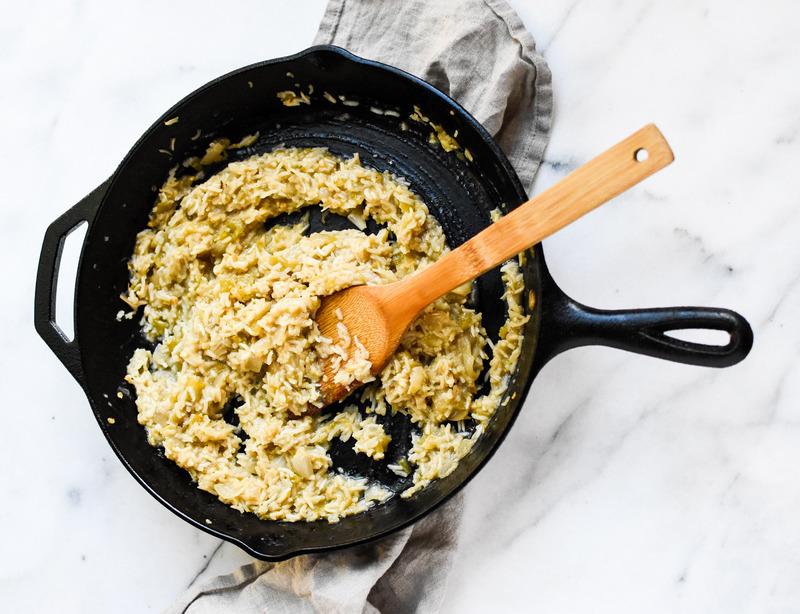 In a large cast iron skillet, cook the bacon until the fat is rendered. Remove the bacon and increase the heat to medium-high. Once the pan is hot, add the pork chops. Brown the pork for 4 minutes per side, for a total of 8 minutes. Place the browned pork onto a rimmed baking sheet and cook for an additional 7-10 minutes, or until the internal temperature reaches 145 degrees. For well done pork, cook to 160 degrees. Remove from the oven and cover. Let pork rest for 10 minutes before serving. Meanwhile lower the skillet to medium-low. Add the onions, green chiles and 1/2 teaspoon salt. Cook for about 4- 5 minutes, stirring frequently. Add the chicken stock and 1/2 teaspoon salt. Stir to combine, bring to a boil, cover and lower to a simmer. Simmer for 10 minutes, or until rice is completely cooked. Add the butter to the cooked rice and stir to combine. Serve warm with buttermilk pork chops. This entry was tagged hatch green chiles pork chops and rice, oven baked pork chops, pork chops and bacon, pork chops and rice, what to make with hatch green chiles. Bookmark the permalink. Thank you for the inspiration. I just put some pork chops in buttermilk to marinade! How wonderful! You are so welcome, I hope you enjoy the pork chops! This recipe is a keeper! I happened to go to the grocery store yesterday, so I even picked up a few cans of hatch chiles. I’m definitely going to add this to our rotation, thanks again!